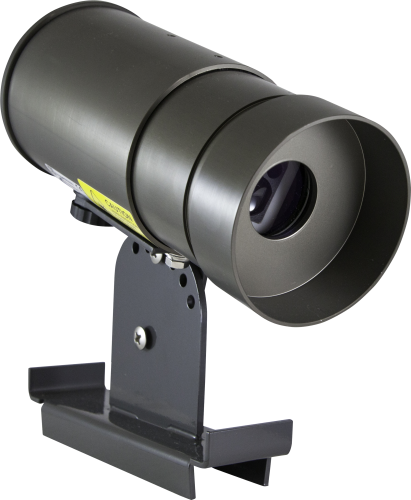 The SDMS40 is a powerful and cost-effective 2D multipoint, laser-based snowfall sensor. In the past, multipoint laser-based snow depth sensors have typically been complex and costly, so the practical SDMS40 was developed to address those issues. Performance and reliability of the device have been proven with thorough testing of the sensor and its measurement method. (Read the white paper.) With the SDMS40, you can enjoy accurate data from a compact, automated, multipoint scanning laser snow depth sensor at a reasonable price. The ability to quickly and reliably detect the onset of snowfall and snowmelt is a highly sought-after feature in a snow depth sensor, and the SDMS40 does not disappoint. It is one of a few laser sensor models available in the world that can reliably detect the onset of snowfall and snowmelt, and of all the models available, the SDMS40 is the most cost-effective. Campbell Scientific prides itself on the high quality and accuracy of its products. We won't put our stamp of approval on anything that does not meet our expectations or the needs of our customers, and we want to ensure you can trust the quality and accuracy of the SDMS40 like you would trust any Campbell system. So we field tested the SDMS line of snow sensors over three Canadian winter seasons. It has proven itself to be practical, accurate, and of excellent quality.